Why load three pages, when you can load one? 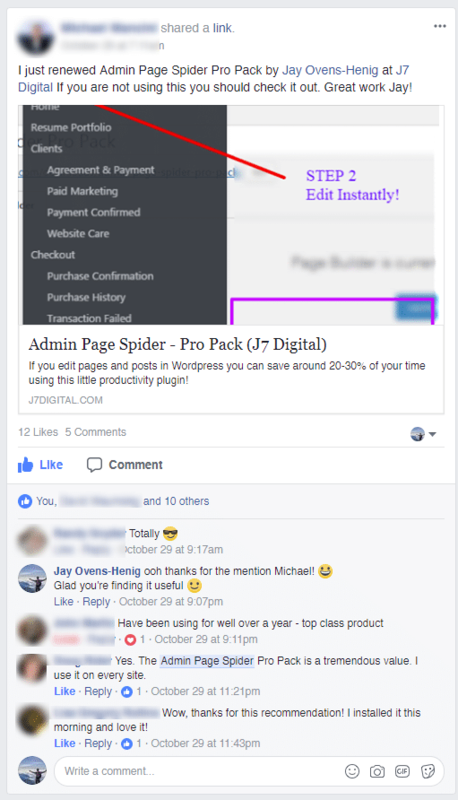 Adds quick access to Post Types and more! This one is a given.The idea is that you can easily see all your pages on your website, regardless of what you've put in your site menus. And easily jump between them and edit and view extremely quickly. Enjoy! Saves a lot of time with additional clicks trying to get to the builder for every bit of content in your site! CSS Hero is a great plugin which lets developers have easy access to edit CSS on each of their pages visually. The problem is that the standard interface means you have to navtigate to each page before you can edit! Not anymore! CSS Hero Support available in Admin Page Spider Pro Pack! Easy Digital Downloads is probably THE best plugin for distributing licensed plugins and software. It just works so well! 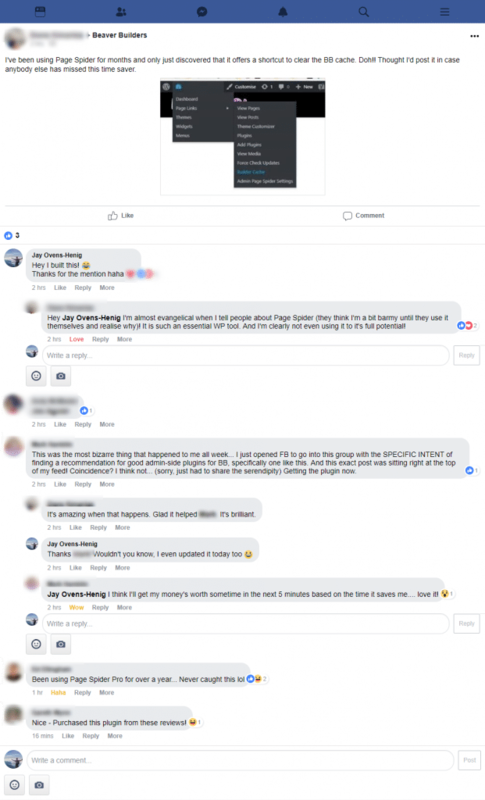 But if you run any kind of store with EDD you end up having lots of extra clicks to get to the pages you need to view. It's a royal pain! 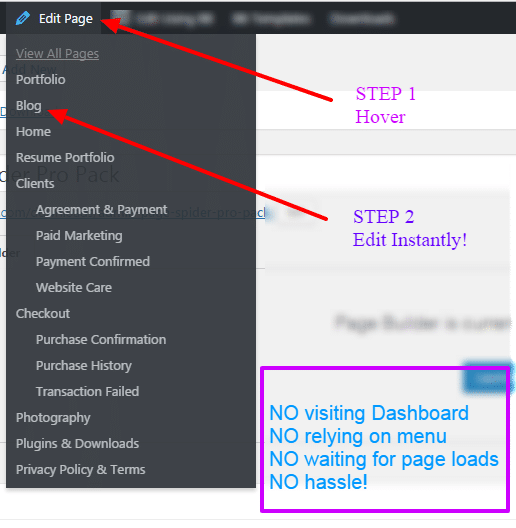 FINALLY with Admin Page Spider Pro you can quickly and easily view and edit any download on your website. Why wasn't this thought of earlier?! Yellow Pencil is one of the smoothest CSS Editors out there! Easily jump in and with an intuitive interface that lets you point and click to make a wide array of css changes to any element. With Admin Page Spider you can quickly jump into the editing interface for Yellow Pencil without having to visit the page first. 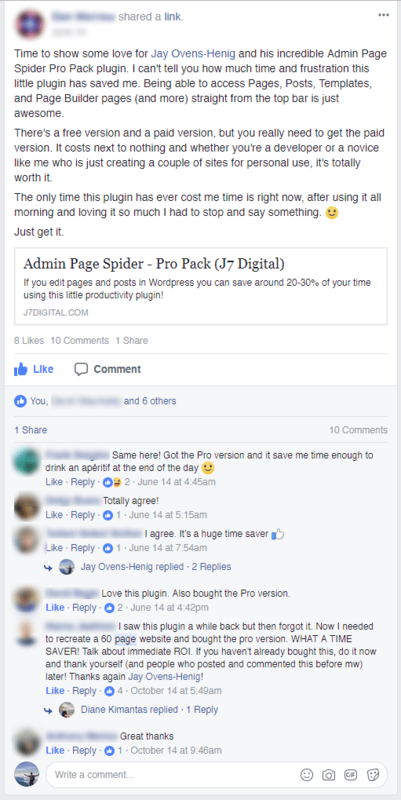 Easily see all your WordPress posts (and even the date they were posted!) with quick links to the post editor. Microthemer is another great CSS editing plugin with a poorly thought out way to easily edit the css for any particular page. By adding a convenient menu you can now jump right into the page you wish to edit without waiting! 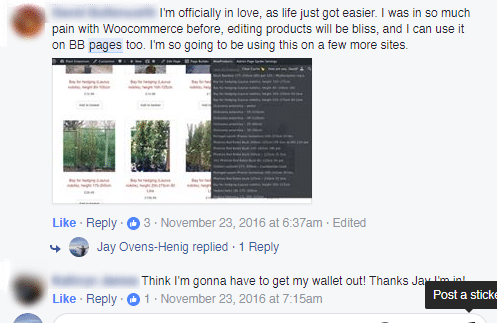 Battle of the page builders? Elementor offers a fantastic page building solution for free and provides a powerful way of laying out and designing your site. If you need to edit specific pages now it's much easier! AND faster! With Field Groups often forming some really powerful options for your custom post types, jumping between them will save you a TON of time. Advanced Custom Fields support is now added & is time saving as ever! WPML is one of the most popular translation plugins for WordPress. Now you can easily get an entire overview of all your pages and which ones have which language applied and jump directly into editing a specific language! Do you use Pods? Toolset? Do you make your own Custom Post Types? My plugin will scan through and find them all for you so you can easily register a dedicated menu just for your post type so you can easily access and edit anything you're working on. Time saver much? I think so! Easily find something with search filtering. Multilevel hierarchy & indentation for your pages. See some dates & post info at a glance. QuickAccess menu for fast access to popular admin pages. Re-name titles and hide any of the menus (Whitelabel me!). Lightweight & Fast. Only loads what you're using and has no effect on site speed. Works with ANY custom post type! Don't just take my word for it. Check out all these unsolicited reviews! Enjoy! I hope it saves you some time! Just install by uploading the plugin zip. Then enter your license key from your account (or the email that you receive). Once activated, you will see all the settings. All the default settings are turned on so you don't need to do anything and you should see the dropdown links available in your admin menu bar. Enjoy! & please send any feedback to me so I can improve the product! Each 'license' has a one-time-only activation per site. So once you've entered it and it has validated, that website domain address is recorded against your license forever and counts towards the number of activations allowed. This includes developer environments like localhost or dev subdomains. Once a site is activated, it cannot be de-registered and moved to another domain. Since this plugin is mainly used only whilst developing the site rather than in production environments. Once your license expires, you will receive a reminder email to optionally renew. An expired license will not be able to activate on new sites. Existing sites will continue to function for a short period until a heartbeat expiry will eventually deactivate the plugin. All text on this website is considered the terms and conditions. They can change at any time so whatever is on the website at the time are the rules we follow. Generally refunds are not possible if you've already activated it on a site but I'm a casual developer and pretty friendly so the decision is at my discretion. If you've read the terms & conditions congratulations use this code: termsandconditions - during your checkout for an additional reduction on your checkout.